Protecting your skin from the sun is a daily activity. Harmful UV rays pose a significant threat to the health of our skin. Sunburns, premature aging, and skin cancer are all common consequences of frequent exposure to the sun. It’s simple to protect yourself from these dangers—apply sunscreen, don’t use tanning beds, wear protective clothing, and stay out of the sun when possible, especially during the middle of the day. By making these activities a part of your daily routine, you can maintain healthy skin and avoid skin cancer. 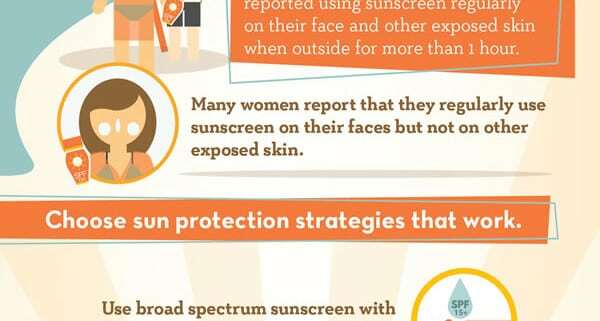 Download and print the infographic below, put it on the refrigerator, and keep yourself safe from the sun!